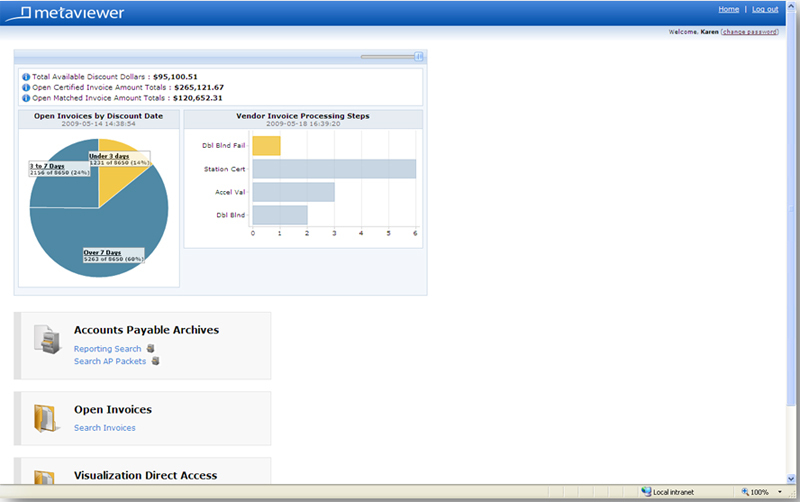 AP Automation - Touchless Invoice Processing - MetaViewer from Metafile. 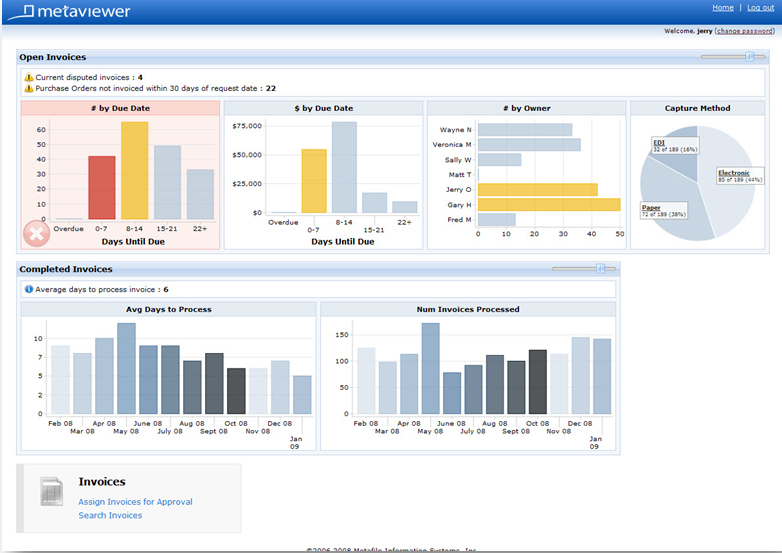 MetaViewer brings automation to the workplace, often starting with accounts payable. Today’s best-in-class companies are using automation to improve processes. In fact, 74 percent of these organizations are able to process invoices “straight-through,” meaning no manual, tedious and paper-based processing. Everything is automated. 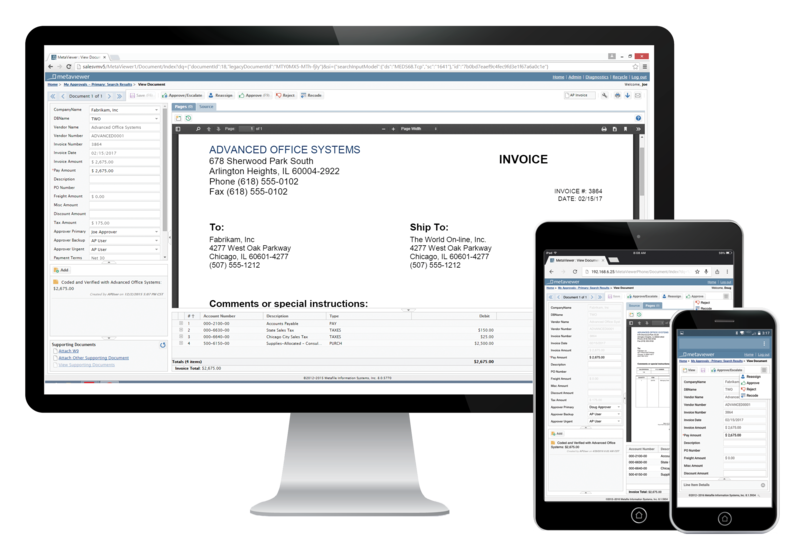 MetaViewer paperless automation for accounts payable gives you full visibility to all related documents from purchase order to payment to archive and back. You gain more control over your accounts payable process, decrease your variability and automate your approval workflow with robotic process automation (RPA). RPA is the use of software, often utilizing artificial intelligence (AI) and machine learning functionality, to automate tedious, high-volume, repetitive tasks that previously required manual, human intervention. In short, the main objective of RPA is to automate tasks that are taking up your employees’ time and resources. MetaViewer uses robotic process automation (RPA) technology to capture invoice data, eliminate repetitive processes and make documents and data more readily available for better expense management. Just imagine how good you and your department will look when you start capitalizing on early payment discounts, reducing your invoice processing costs and improving your vendor and customer relations – all without manual intervention. 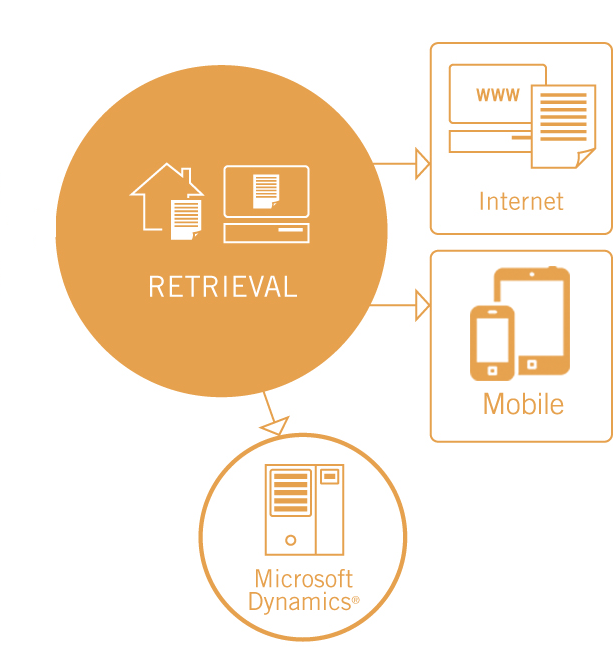 MetaViewer offers Touchless Invoice Processing for Microsoft Dynamics users, featuring RPA technology. This functionality processes purchase order (PO) documents and routes them through workflow steps – based on pre-determined rules – without human intervention. The system runs rules against the corresponding invoice in Microsoft Dynamics, checking whether it is a current invoice, a duplicate invoice, is open against a PO and other pre-defined evaluation rules. If the PO passes each rule, it is automatically routed to Dynamics. If it fails any of the evaluation rules, users receive a report and are able to manually reconcile the PO. Now THAT is automatic. No other document management solution offers all this. Here's a closer look at the MetaViewer "Big Picture." Industry leading intelligent document capture for paper AND electronic invoices. One of the key elements of the MetaViewer AP Automation solution its ability to capture transaction information regardless of the external or internal source and standardize it for workflow approval, vendor notification and self-service processes. Regardless of how the information gets to you, the system works exactly the same. Key invoice information is located and recognized automatically and vendor profiles are set up in seconds. The process is the same regardless of whether the invoice arrived electronically or on paper. All this without the pay per invoice burden of other solutions. MetaViewer's Invoice Accelerator provides you with electronic invoices that can be indexed with 100% accuracy, two- and three-way matched, and routed to the appropriate workflow step with no data entry needed, saving your vendors time and mailing costs. Automatic approvals and workflow deliver a smooth AP process and full visibility. 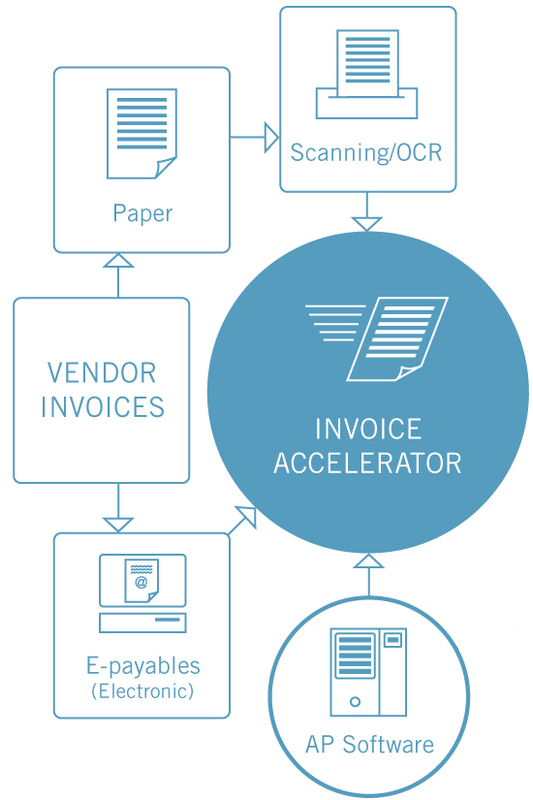 Whether your vendor invoices and customer orders are received on paper or electronically using our eInvoicing option, MetaViewer Invoice Accelerator auto classifies, identifies and extracts all transactional data, facilitates two- and three-way matching with ERP information, and allows custom online approval workflows. As your invoices go through the web-based workflow process, MetaViewer automatically alerts your vendors regarding the status. Automated GL coding of invoice information, reconciliation with purchase orders and complete integration with your ERP solution eliminates data entry and ensures accuracy. 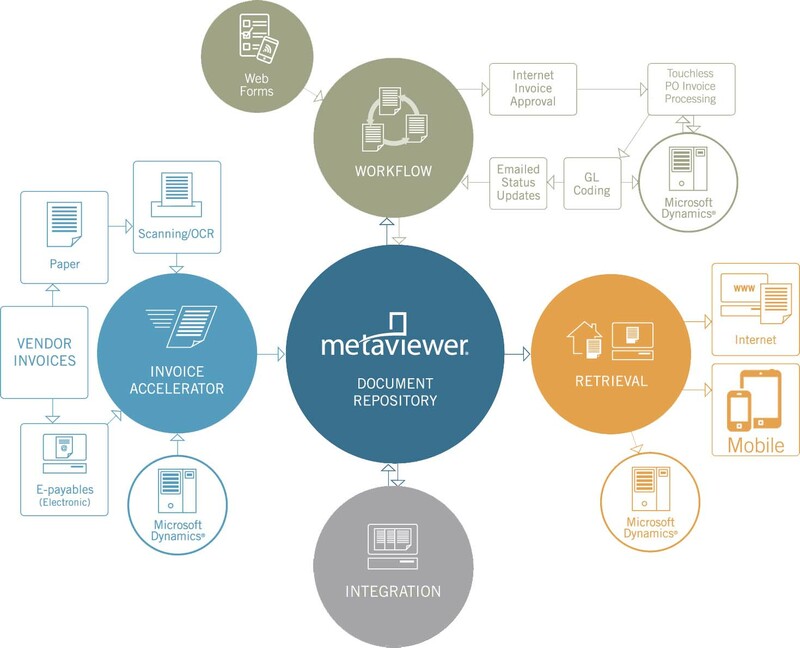 The MetaViewer Workflow Monitor gives real-time views into your entire AP process. Instantly know when invoices are nearing deadline, stuck in someone's workflow queue or overdue. Your organization is only as strong as your team. So is your automation solution. Integration is automatic. MetaViewer blends with your existing environment in perfect harmony, tightly integrating with all Microsoft Dynamics ERP and financial modules (AX, D365O, GP, NAV and SL). Combined with your ERP, MetaViewer offers a seamless, paperless solution for your previously paper-based business processes. With the simple press of a MetaViewer button added to the ERP application, a preset MetaViewer query is run, using the appropriate information found on the host application screen, and allowing associated documents to be retrieved or viewed without ever leaving your ERP. Instant and secure access, from anywhere. The MetaViewer paperless automation solution lets you find the information you need, when you need it, where you need it. Full integration with your ERP solution lets you retrieve the appropriate documents with a single mouse click without leaving your ERP screen. Email notifications can be sent with a link that allows secure access to specific documents. The MetaViewer Document Distribution option lets you safely, accurately and quickly send customer invoices, payroll stubs, commission statements or any other documents to thousands of recipients. MetaViewer Mobile gives you the ability to approve invoices, view GL-codes and more on-the-go, right from your smartphone or tablet. View pending invoices needing your attention and simply tap them to see more information, including line item details and the original copy of the invoice. Choose to approve, reject or escalate invoices from wherever you are. Full visibility of all your processes via your MetaViewer or Sharepoint desktop. Like the gauges designed to monitor a high performance engine, MetaViewer's document and workflow charting gives you a real-time dashboard view into the workings of all your financial processes. A color-coded alert and actual live counts are available on your desktop at all times. Drill down into the actual workflow steps and view the related documents with a click of your mouse. Invoices approaching deadline or stalled in the process are easily identified along with numerous other standard and customized alerts. Never again will you guess or wonder what is happening in your financial departments, whether they are down the hall or around the world! Easily embed analytics into your MetaViewer home page or SharePoint portal.